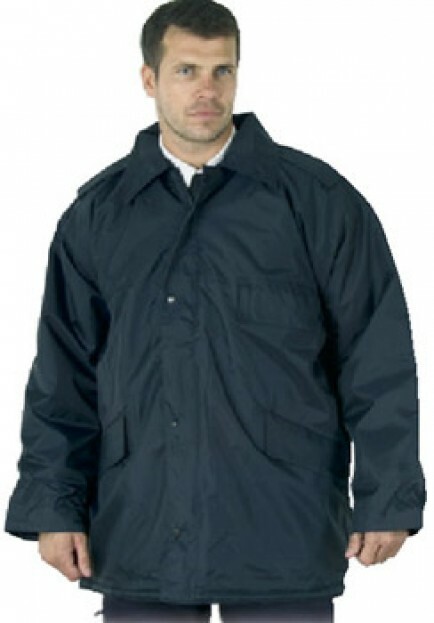 A great jacket for security workwear which is comfy & waterproof. REDUCED TO CLEAR. Waterproof polyester with taped seams. Warm filling with quilted lining. Detachable epaulettes. Heavy duty two way zip with storm flap.